Charlotte Brontë, together with her sisters and fellow writers, Emily and Anne, and her brother Branwell, lived most of her life in an isolated parsonage in Yorkshire, where her father was a minister. From these quiet surroundings the three sisters spun passionate, romantic novels of powerful emotional energy that are still popular today. They began writing under the pen names of Currer, Ellis, and Acton Bell, and first published a volume of twenty-one poems in 1846. The work failed, selling only two copies, and afterwards the sisters began working on novels. Charlotte was the only one of the three to become a successful novelist in her own lifetime. She spent some time working as a teacher and a governess, and would later use these experiences in her work. 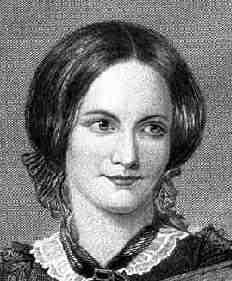 After her first book, THE PROFESSOR, was rejected, so she wrote JANE EYRE, the story of a downtrodden governess who wins the heart of the enigmatic Mr. Rochester, which was published in 1847. She followed up on its success with SHIRLEY (1849), and VILLETTE (1853), the latter of which is a nearly autobiographical account of her experiences of teaching in Belgium. In 1854, Charlotte married Arthur Bell Nicholls, her father’s curate. She soon became pregnant and died of complications in 1855, aged thirty-eight, leaving behind her novels that are still read and enjoyed today. Something of vengeance I had tasted for the first time; as aromatic wine it seemed, on swallowing, warm and racy: its after-flavour, metallic and corroding, gave me a sensation as if I had been poisoned. Men judge us by the success of our efforts. God looks at the efforts themselves. If we would build on a sure foundation in friendship, we must love friends for their sake rather than for our own. Let your performance do the thinking. Life appears to me too short to be spent in nursing animosity, or registering wrongs. Life is so constructed, that the event does not, cannot, will not, match the expectation. Prejudices, it is well known, are most difficult to eradicate from the heart whose soil has never been loosened or fertilized by education; they grow firm there, firm as weeds among stones. A young girl who has lived a hard life becomes a governess at Thornfield Hall, there finding love in the form of Mr. Rochester, who is love with Jane, but secretly married to a mad woman he keeps upstairs. William Crimsworth, a teacher in Belgium, flirts with the headmistress, but falls for a student-teacher.